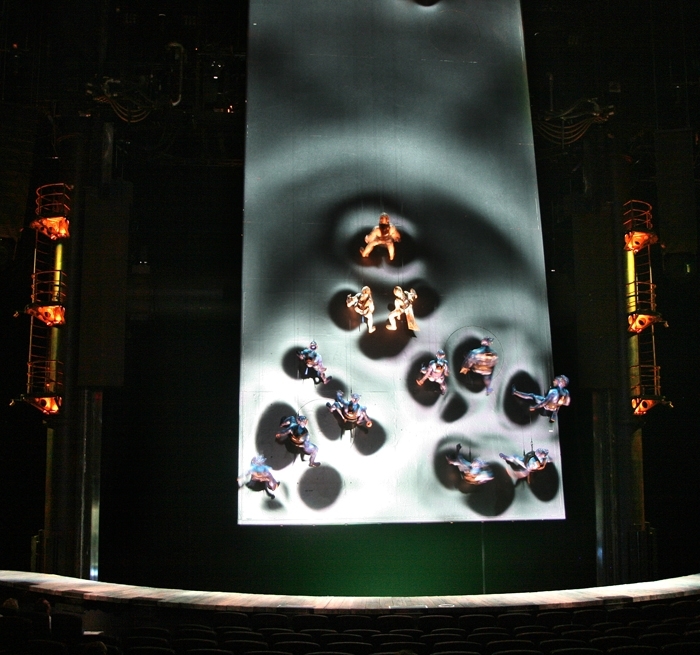 In renovating the MGM Grand Theatre for Cirque du Soleil’s fourth permanent venue featuring the production of KÀ, Auerbach Pollock Friedlander was called upon to provide theatre and audio-video consulting for the implementation of Cirque du Soleil’s design of the space and the development of theatrical systems to support the highly technical production. Successfully integrating the theatrical systems required coordination of building infrastructure to accommodate the one of a kind, cutting-edge technology. 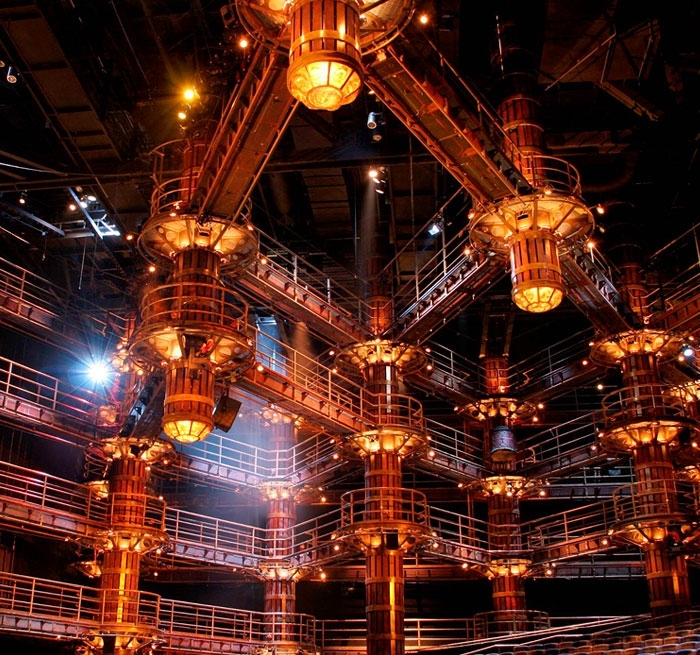 The firm developed criteria and coordinated the theatrical systems infrastructure within the building to achieve independent and reliable operation. 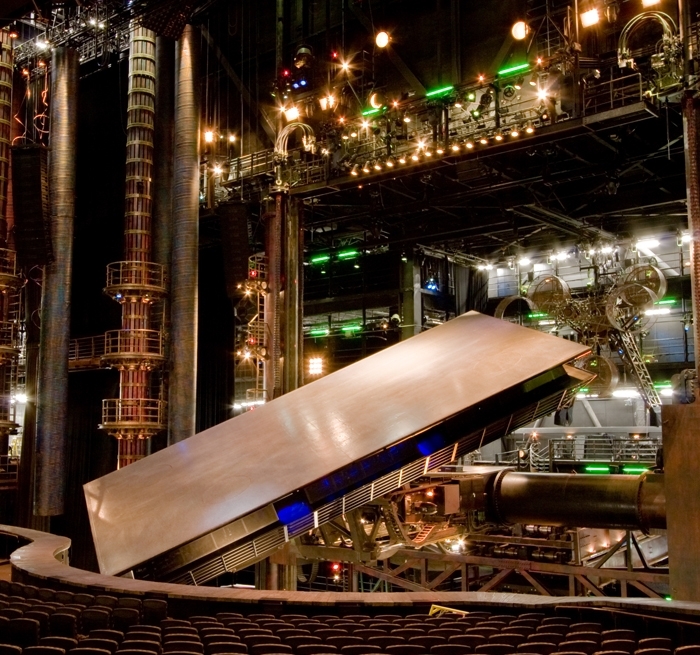 This included the development of an infrastructure of sophisticated stage machinery including a re-rigged fly tower with manual and counterweight-assist line sets and work areas over the stage and audience equipped to support motorized spot winches and mechanized elements controlled by a sophisticated machinery automation system. 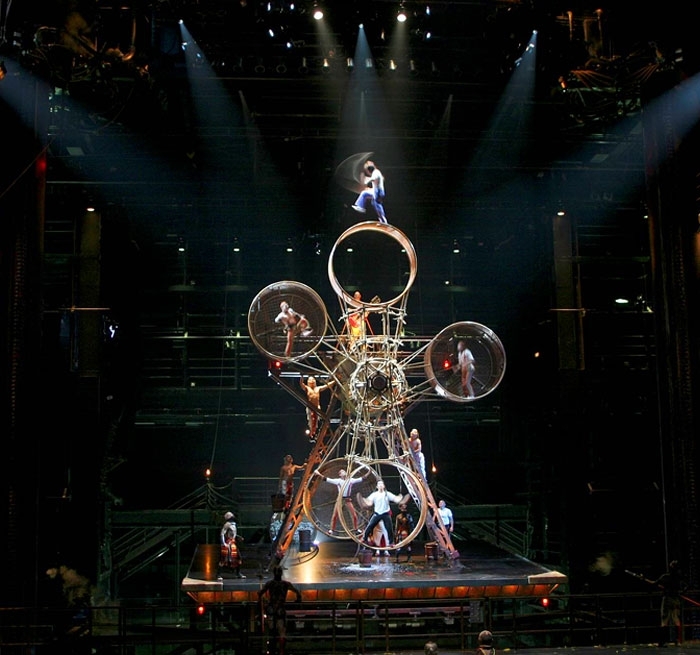 Extensive sound, video and production communication systems were designed for the space in close cooperation with Cirque du Soleil’s audio staff and production sound designer.